Jerry and Diane Fletcher founded C hampion Storage & Rental in 1997. 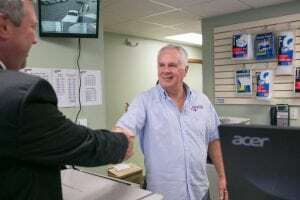 And in the nearly 20 years since, the company has experienced success at a truly impressive rate, earning itself a winning reputation as one of the leading providers of storage and rental services in the Sheboygan County, Wisconsin area. In the context of regional self-storage, Champion’s offerings are some of the most comprehensive you’ll find, spanning a range from indoor, outdoor and climate controlled-storage units, to warehouse-and office-space rental, and everything in between—all offered in a variety of sizes to suit most any customer need. When asked what inspired her family’s foray into the storage and rental business, Diane’s answer is relatively simple. “My husband just always really wanted to own a storage facility,” she says, laughing. Intrigued by the growing number of self-storage developments sprouting up throughout Wisconsin during the mid-90s, Jerry found himself increasingly attracted to the prospect of owning and operating one of his own. Coincidentally, the family already owned a nice-sized parcel of land. So Jerry built a 42-unit storage facility on it, giving the Champion Storage story its official beginning. In 2008, Champion’s self-storage and rental inventory included 432 storage units, 11,000 sq. ft. of warehouse space and an outdoor parking area with room for 50 vehicles. But customer demand for the company’s services was growing—quickly. So, in order to keep up, Jerry and Diane began looking for faster and more strategic ways to expand. The Fletchers approached Wisconsin Bank & Trust (WBT)—then doing business as Community Bank & Trust—at the suggestion of fellow business owners in the Sheboygan area. And, from the beginning, it was clear to the couple that the bank had a passion and talent for helping local businesses. 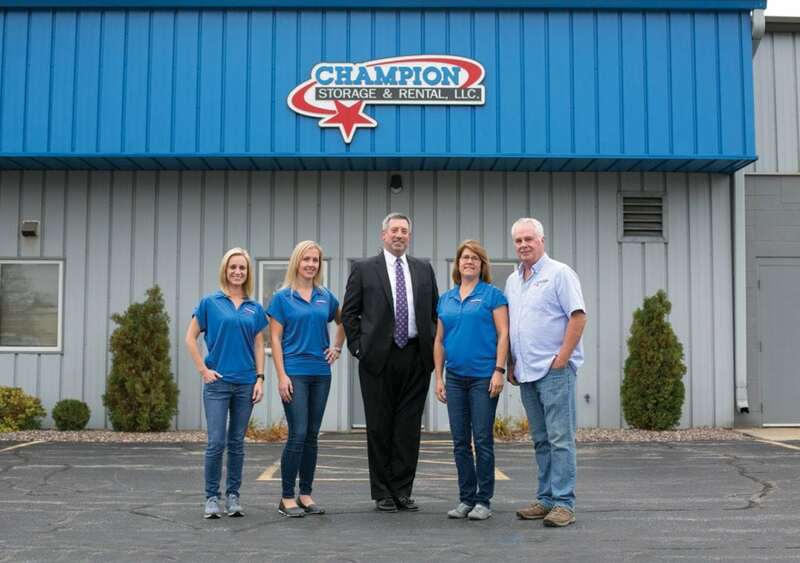 After many years of managing and growing the business almost entirely on their own, Jerry and Diane are proud to report that Champion Storage & Rental has become a family affair. Daughter Jenna joined the business in 2013, bringing with her a fresh jolt of marketing expertise. And in 2015, daughter Amanda jumped aboard, giving the business valuable insight into customer service. Together the family serves approximately 850 customers across seven Champion Storage facilities in the Sheboygan County area. And WBT has been a pivotal ally in the company’s ability to remain agile, plan for the future and optimize its cash flow. Working together, the Fletcher family looks forward to building on the success Champion Storage has already achieved. In fact, with a little help from WBT, the company plans to move forward on a 20-acre development that will steadily expand its business footprint over the course of five to 10 years.